Pac-Man was always such a harmless soul, lost in the labyrinth of his own mind, chased by ghostly memories of his past and finding succour in a trail of psychoactive dots and the occasional fruit. He always seemed so happy. Or at least preoccupied. 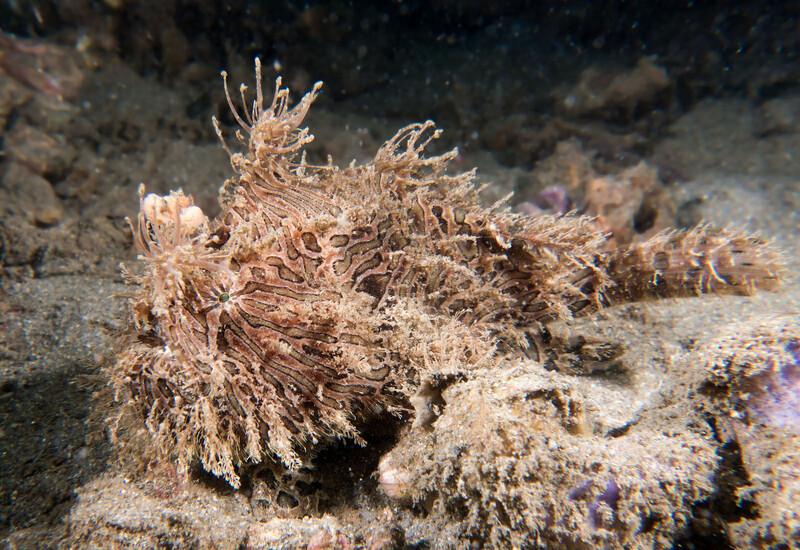 Striated Frogfish, also known as Hairy Frogfish, are aptly named. They're Striated because they're stripy and they're Hairy because they go around in a yeti costume. 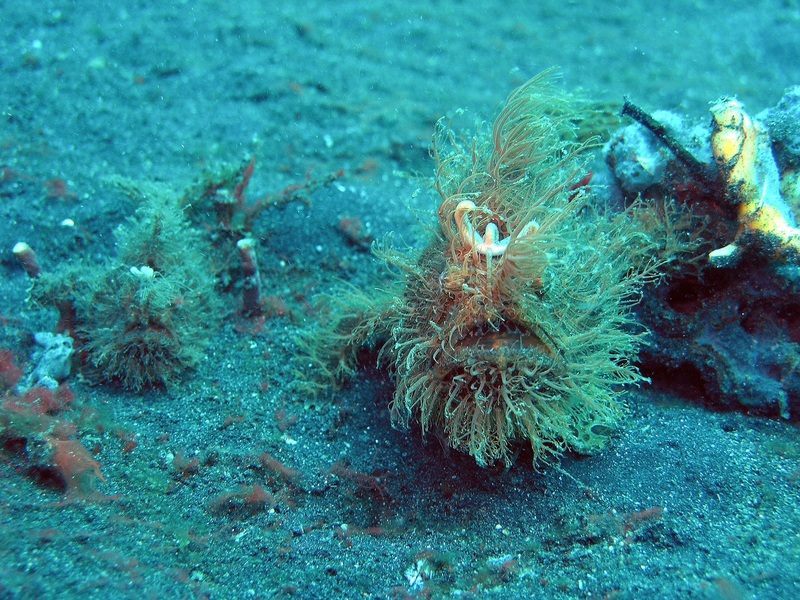 Oh, and they're Frogfish because they're... Frogfish. Did you guess? I was thinking of going multiple choice but I bet you guessed. Having said that, some Striated Frogfish are more aptly named than others. You see, they're incredibly widespread, ranging from Africa to Australia to Hawaii as well as the east coast of America. Basically, they live in just about all tropical and subtropical oceans and seas of the world. The only exception is the Mediterranean and the west coast of America. 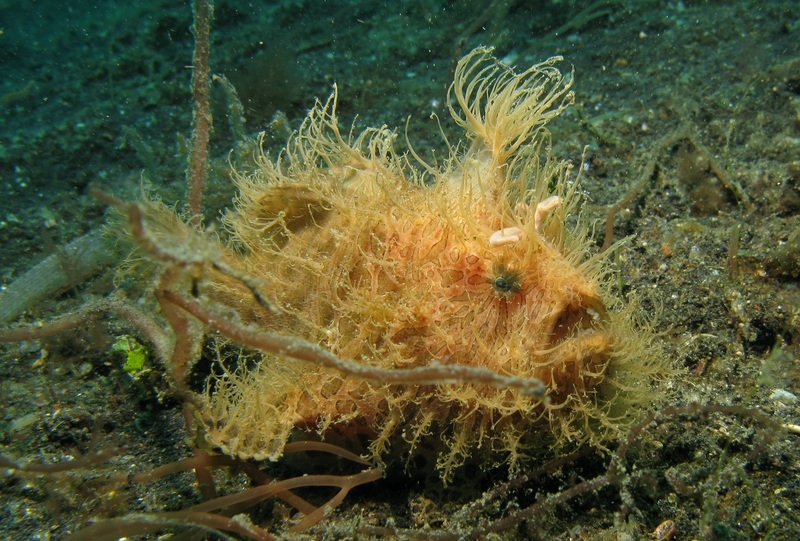 Perhaps in part due to this vast range, Striated Frogfish are extremely variable. They may well be stripy, but they can also be spotted or something in between. They may well be hairy, but some appear to have got themselves a full-body haircut. It must've taken days to shave all that stuff off! They're even more variable when it comes to colour. A lot of them are somewhere in the yellow to orange side of things, but they can also be white, brown, grey, green or black. They can even change colour! They can't do it with the kind of instantaneous rapidity of an octopus or chameleon—it takes them several weeks—but still, it's a nice skill to have. It's all about camouflage, of course. With a length of just 25 cm (10 in) at most and usually half that, Striated Frogfish could present a tasty meal for all sorts of sharks and other large fish. Our poor Frogfish wouldn't like that at all. They would much rather make a tasty meal out of other fish. I can't blame them. I feel exactly the same way. They would also prefer to escape predators as well as prey on other fish without having to move around too much. Or at all. Yeah... still can't blame them. The Striated Frogfish, just like any other Frogfish you care to mention, is about as far from athletic as it's possible to get. No cords of muscle tough as steel, here. No bundles of animal power rippling just beneath the skin, either. Striated Frogfish are practically spherical and, like our favourite Deep Sea Anglerfish (to whom they're related), Frogfish are pretty much a belly with a rapacious mouth attached. They can barely swim at all, really. Their fins aren't built for powering them through the water, Taoist in their effortlessness. Instead, their fins are thick and fleshy footsies for walking across the ocean floor. That's not to say they can't get their skates on when they really need to. 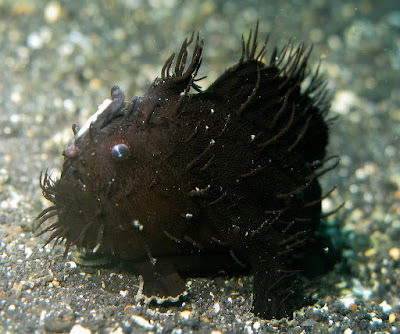 If predators get too close and don't seem to be going away, the Striated Frogfish can force water out of their tubular gill openings and blast themselves away. Yup, it's jet propulsion! Even then, they're so dumpy they end up bouncing along the seabed like some kind of marine tumbleweed. 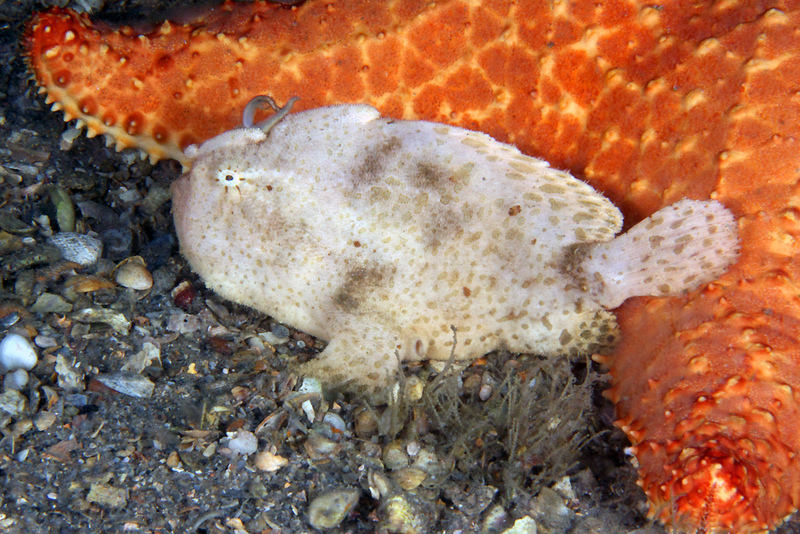 Frogfish and elegance do not mix. So our Striated Frogfish can't chase down his prey. You'd think a wolf(Pac)man would be a little more speedy and nimble but no, he's going to have to find a way to get fish to come to him. Not easy with a face like that. I mean, it hardly attracts a smile and a wave and a "lovely weather we're having," does it? In a certain light, Striated Frogfish look like demons slouching in a raging inferno, their devilish horns set at a rakish angle. 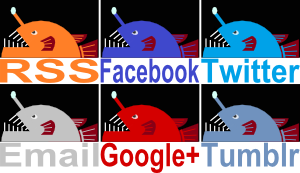 I suppose things just look different when you're a fish. To them, it looks more like a clump of algae with a big juicy worm crawling on it. 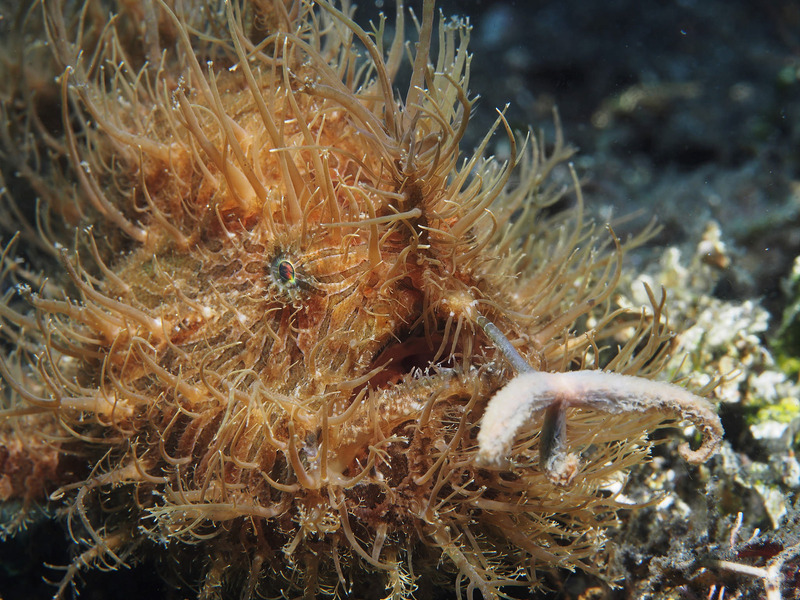 This is how the Striated Frogfish lures prey into striking distance. And also why they're a kind of Anglerfish. Their first dorsal spine, what would normally be part of a dorsal fin, is pushed all the way forward until it almost comes out of their upper lip. It ends in a large, curly structure which would look like a hilarious moustache if the spine wasn't so long. 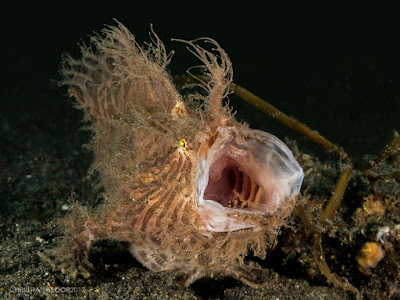 The Striated Frogfish waggles this thing around and the lure wobbles and writhes just like a worm. Hungry fish are intrigued. "What's this?" they say. "A tasty morsel to fill my belly?" When they get close enough, the Striated Frogfish performs the fastest manoeuvre of his life. He opens his mouth, shoots it forward with astonishing speed and INHALES his prey. In an instant, literally faster than the blink of an eye, fish disappear entirely and are forced to make themselves comfortable in his stomach. At least it's a very spacious stomach for most fish. Striated Frogfish can eat fish as big as themselves! When their food is that big it's quite the task to cram it in and it's not as if the fish is just sitting there letting it happen. Battle ensues and you really get to see the value of, for example, snake venom. But Frogfish like their meals living and wriggling and in the end, there can be only one winner. It's still uncomfortable to watch, though. We should all be grateful for how simple the graphics were in those old PacMan games. I don't think the extra pixels would be edifying. Perhaps this is what PacMan wanted all along? Free from his ghosts and the contorted prison of his mind, he can finally rest. He doesn't have to chase his food anymore, not now that it comes to him, damned by its own curiosity. I just wish he looked happier about it. Yeah, the black one looks like a little puppy checking out the camera!